Pacific Gas and Electric Company has secured two heavy-lift helicopters as part of the company’s new Community Wildfire Safety Program. 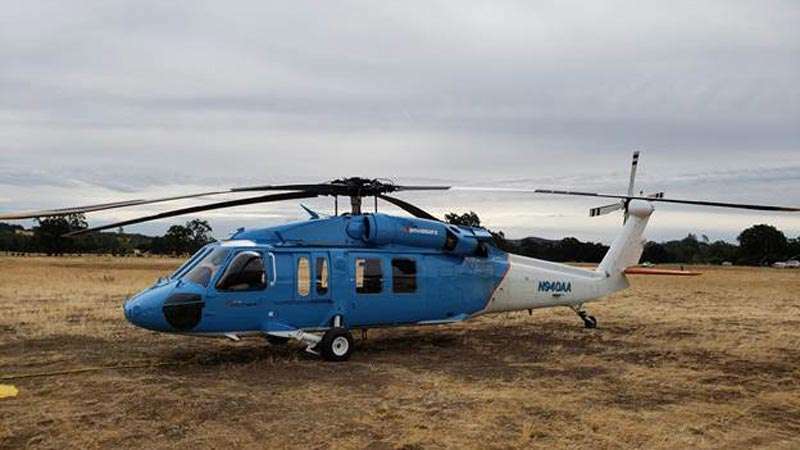 The primary purpose of the new helicopters is to help PG&E do day-to-day work in remote and hard to reach places across its 70,000-square mile service area. “We want to be sure we are doing all we can to protect the state’s energy infrastructure and keep our customers safe given the increased extreme weather we’re seeing across California,” said Barry Anderson, PG&E vice president of Wildfire Resiliency and Emergency Management. PG&E has deployed helicopters, usually on a contract basis, for its electric, gas and generation work for many years in support of construction and maintenance activities. The newly added aircraft were secured through an exclusive use agreement with PJ Helicopters in Red Bluff. PG&E plans to add two more heavy-lift helicopters in 2019. In addition to supporting utility work, PG&E will defer its use to make the new Sikorsky UH-60 fleet available for first responder use, if needed and requested, during wildfire events. – Established a Wildfire Safety Operations Center to monitor potential fire threats across the PG&E service area in real time and coordinate prevention and response efforts. – Added more than 50 new weather stations — with around 200 planned in 2018 — to provide improved awareness of fire danger conditions and better predict where a wildfire could occur. – Enhanced vegetation management in high fire-threat areas to meet new state vegetation and fire safety standards and create safe space between trees, limbs and power lines. – Alerted more than 570,000 homes and businesses served by electric lines in extreme-fire threat areas that PG&E may have to shut off power for public safety if extreme fire danger conditions occur, as a last resort. Tell PG and E to haul away trees they cut down near power poles and not to leave them .